The Reds retained the Nobby Goggins Cup after an exciting drawn match in Llanelli in front of a large crowd and S4C TV cameras. 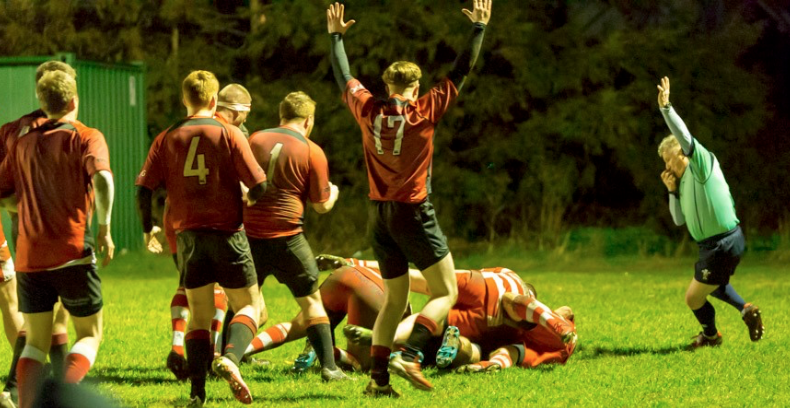 With no senior rugby at home and with the u16 and u18 playing through in Edinburgh, the Young Reds u15/S3 match against their Royal High School counterparts took pride of place at Mains Park on Saturday. In difficult wet and slippery conditions the youngsters ran in 7 tries from Tammo, Alex, Ewan, Kyle, Callum M, Aaron and Darren. Ollie converted three of them to complete the scoring. 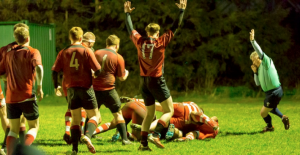 The Young Reds team played really well and didn’t give the Royal High team any time on the ball. Congratulations to Daniel on his first game for the team. The Wee Reds travelled through to Prestonpans on Sunday for friendly matches against the hosts, Preston Lodge, and two other visiting clubs. It was a lovely Spring today and the conditions were great for the youngsters. Preston Lodge were welcoming hosts who shared the ethos of training and development rather than win at all costs.